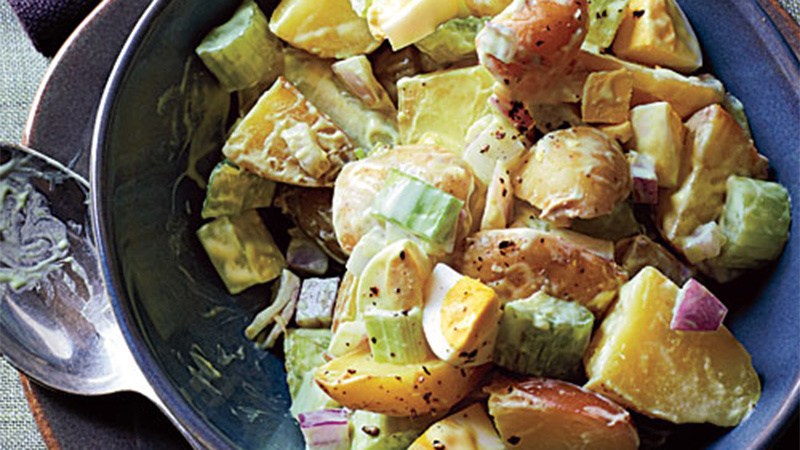 Who said potato salad had to be boring? By choosing different varieties of potatoes (russet, yellow, red or sweet potatoes, just to name a few), along with organic spices and fresh-quality produce, you can create amazing potato salads for family gatherings, potlucks, picnics, lunchboxes, or simply as an afternoon snack on a hot summer’s day. There are more than 100 varieties of potatoes on the planet, yet the amazing tuber has earned a bad rep as a high-calorie, unhealthy food. Potatoes as unhealthy food isn’t based in science – when not deep-fried, potatoes are indeed one of the world’s most nutritious foods, packing 45% of our daily vitamin C and more potassium than a banana. 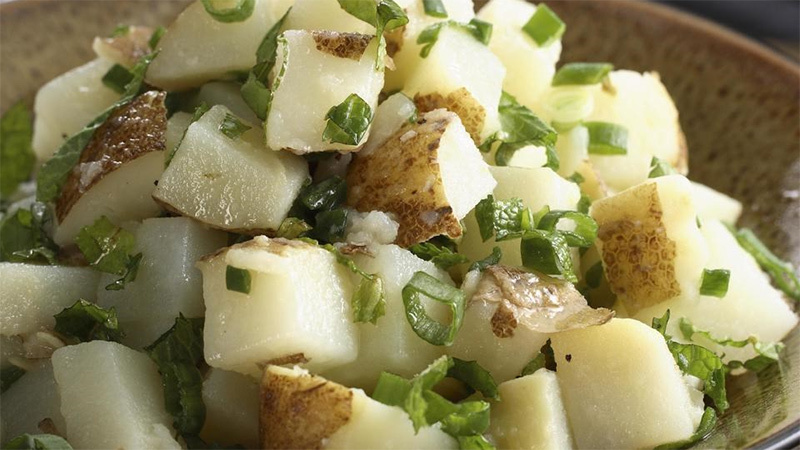 One medium potato is just 110 calories and contains no fat, sodium, or cholesterol. The best part? As a natural starch, they’re an unprocessed, natural carb that will keep you feeling fuller, longer. 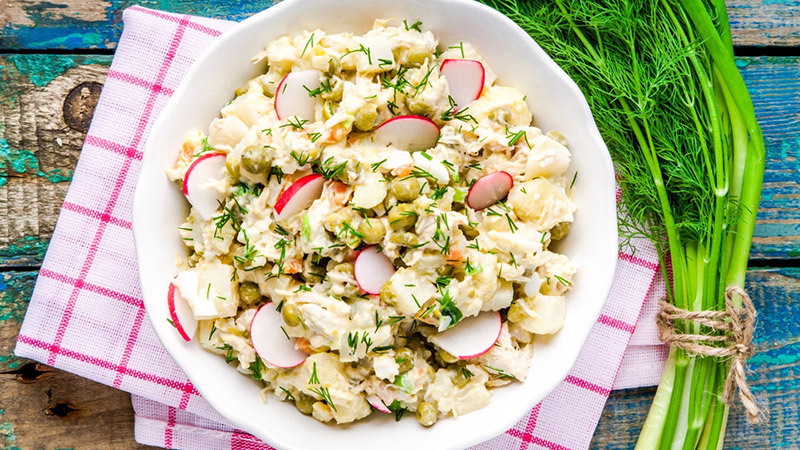 Without further ado, we’ve rounded up some of our favourite potato salad recipes that are anything but boring. 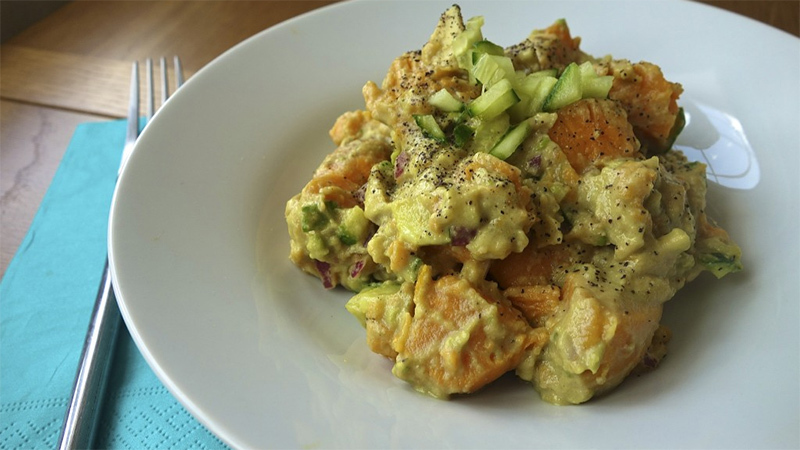 Kimberly Smiths Sweet Potato Beauty Detox Salad uses organic, locally-grown sweet potatoes and other fresh ingredients to ensure a quality salad that’s almost too pretty to eat. Find the recipe at kimberlysnyder.com. 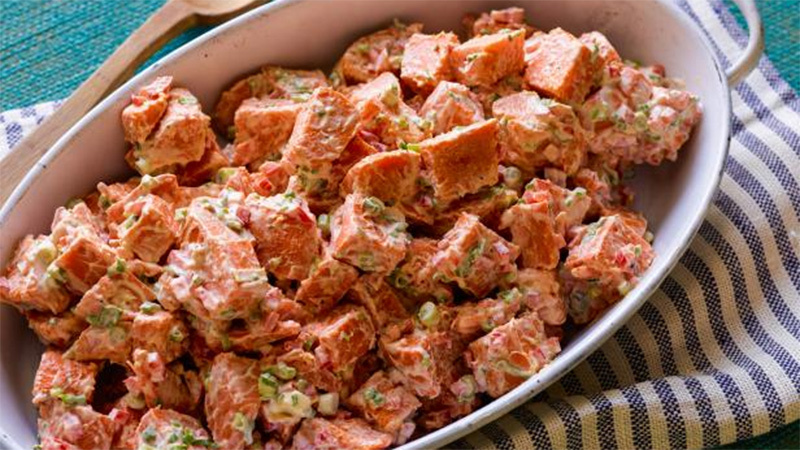 Another yummy sweet potato salad comes at you from celebrity chef Trisha Yearwood. This recipe is super easy to make and is ready in just 30 minutes. Trisha shares her recipe at Foodnetwork.com. A family favorite, this recipe uses creamy Greek yogurt, light mayonnaise, celery chunks and eggs to create a perfect salad. At only 74 calories per ½ cup serving, pair this recipe with your favorite protein for a healthy, satisfying meal. The recipe is at Myrecipes.com. Bursting with Mediterranean flavour, this summer-fresh recipe lets good-quality olive oil shine through, with the bite of feta cheese, Kalamata olives and Italian parsley. This super-simple salad calls for wholesome, russet potatoes and some tangy mint-and-lemon vinaigrette dressing, Find the recipe at Eatingwell.com. Fitnessmagazine.com’s version of your all-time favourite begins with sweet peppers (green or red) and savoury onions mixed with your favorite potatoes create a salad that won’t spoil your diet; 131 calories per ½ cup serving. Reading the recipe title makes my mouth water! 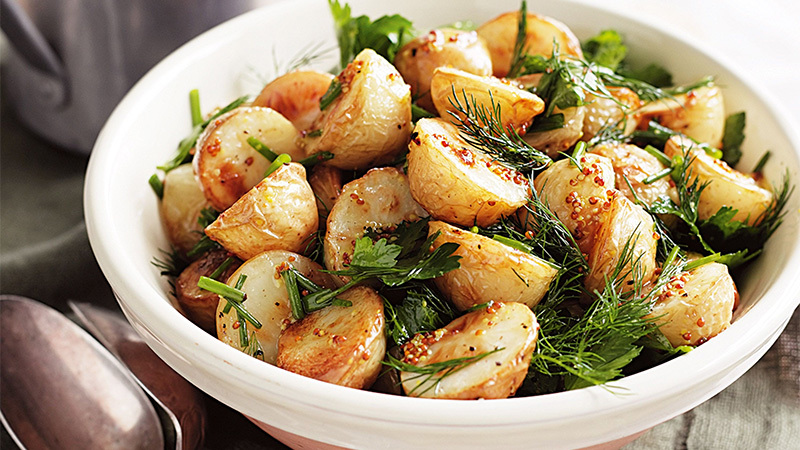 Bite-size red potatoes make a delicious meal that is easy on the eyes, while dill adds delightful tang. 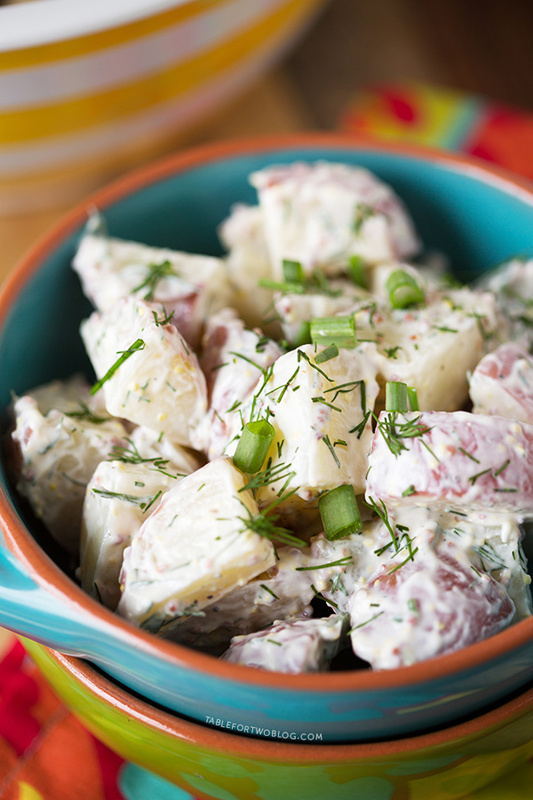 Leave the skin on red potatoes for extra nutrients and a colorful dish; great for potlucks and family gatherings. Find the recipe at Tablefortwoblog.com. 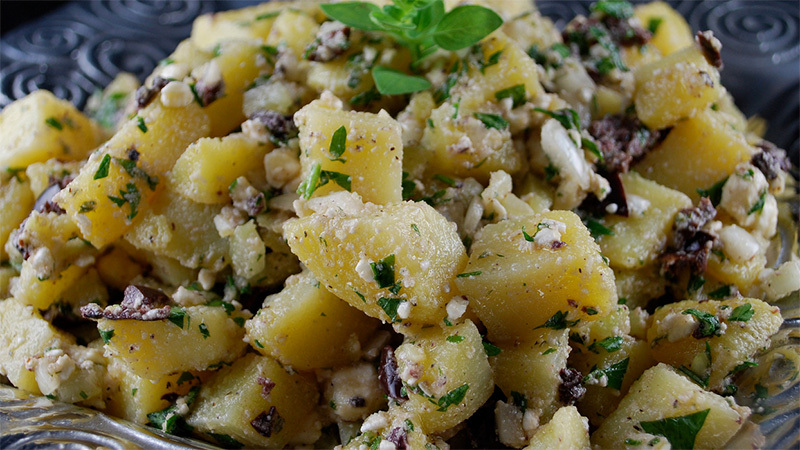 With its combination of crispy roasted potatoes and zingy fresh herbs, this vibrant potato salad is perfect for a summer barbecue or picnic. Get the recipe at Taste.com. 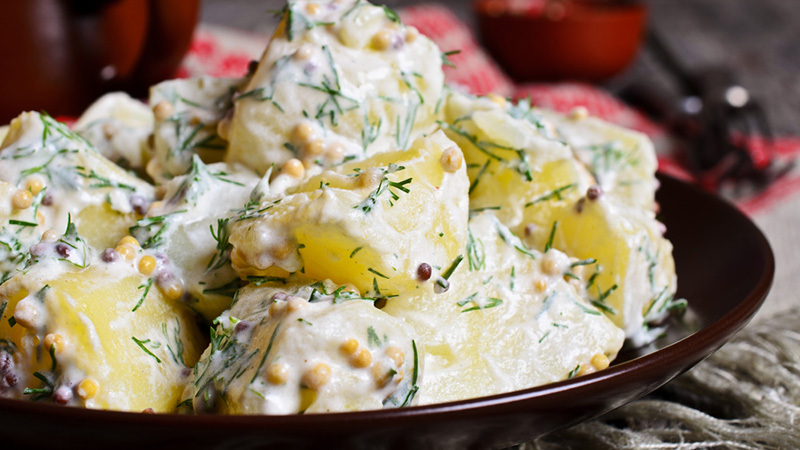 If you like grandma’s high-calorie potato salad, you’ll enjoy this lighter favourite much better. Add more celery, choose low-fat mayonnaise and use only egg whites to create this delicious alternative. Find the recipe at Allrecipes.com. 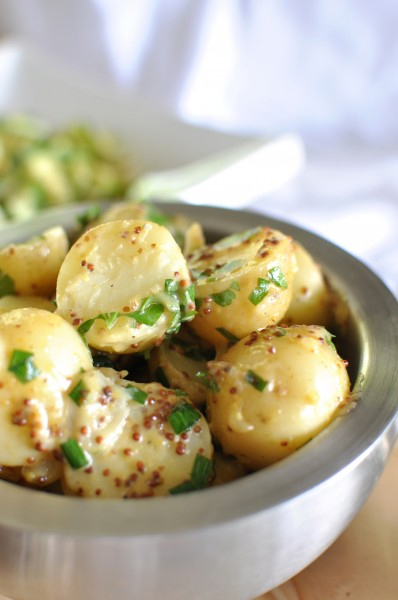 Baby cream delight potatoes make this salad melt-in-your-mouth delicious. Chives, mustard and honey create, along with other ingredients, creates a light dressing you will love. There’s mayo or eggs in this salad, and by substituting honey for maple syrup or regular sugar, you can make it vegan. You can find the recipe at claireskcreations.